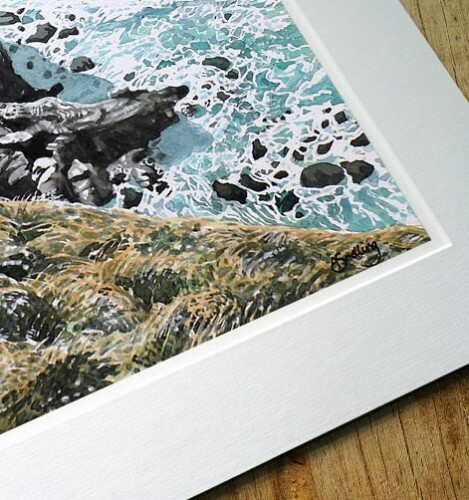 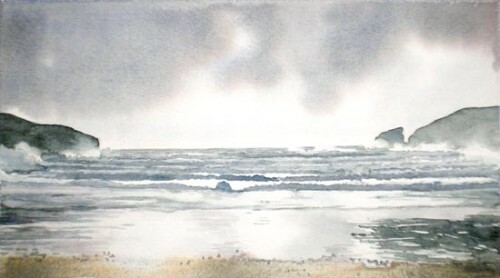 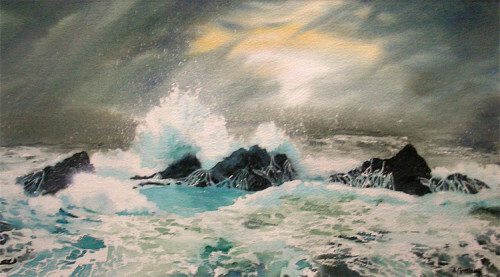 Original watercolour by Angie Snelling of Tregirls Beach or Harbour Cove near Padstow, north Cornwall, mounted prints also available in 2 sizes. 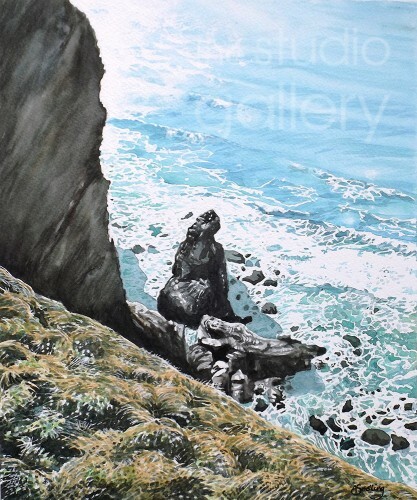 Carnewas & Bedruthan Steps is a stretch of coastline located on the north Cornish coast between Padstow and Newquay. 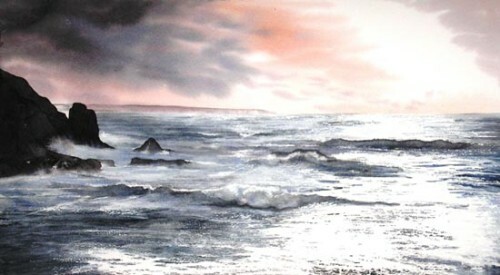 It is part of the south west coast path.